that will work best for the successful containment of your pet/pets. and a Dog Guard battery. level of stimulus that will work best for your pet without over-correcting him. the DG9-XT, the DG5000, DG-M4 and the MicroR. 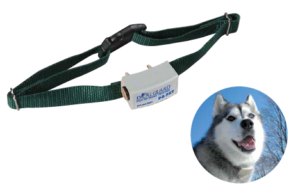 The DG- 9XT receiver is designed to handle the “medium-to-stubborn and tough-to-train” dogs. The receiver battery cap needs a fresh o-ring and the battery cap tightened so that it is snug; but not over-tightened to protect the receiver from water damage. 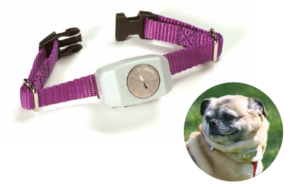 It has a fail safe feature that shuts the receiver down 30 seconds after it has been activated. The receiver will reset itself once it has been removed from the signal field for 3 seconds. increase to a stronger stimulus to contain your pet. depending on your pet’s fur. 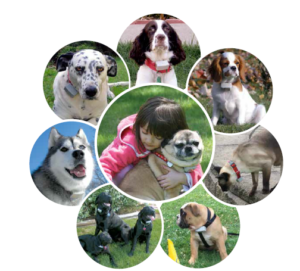 The DG-5000 receiver is designed to handle the “small, timid, passive and up to medium sized” dogs. snug; but not over-tightened to protect the receiver from water damage. 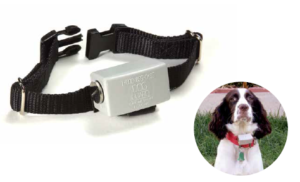 The DG-M4 receiver is designed to handle the “tiny pets” weighing 10 pounds or less. probes depending on your pet’s fur. 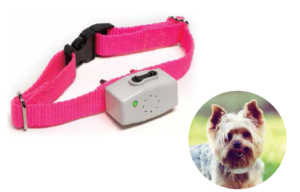 This DG Micro R receiver is rechargeable and designed to contain “tiny pets” weighing 10 pounds or less. green and two short beeps indicate that normal operation has resumed.